Georgia's football team faces two consecutive weeks of triple-option offense. Georgia Southern, who comes into Athens Saturday leading the FCS in rushing with slightly more than 400 yards per game, will be the first to throw their cut-blocking scheme at the Dawgs. 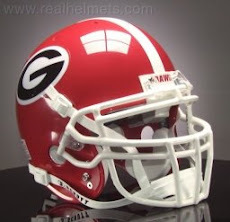 Next the Yellow Jackets of Georgia Tech will arrive "Between the Hedges" to cut-block some more and again run a very similar style of option as does Southern. If a team has to face two option oriented offenses in a season, it has to be a plus to face them back-to-back. It's old style football that is frankly out of style these days in the wide open world of collegiate spread offenses. With that being said, it's really tough on a defense to switch gears and get ready to play an entirely different scheme themselves. 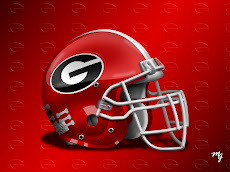 Georgia has to play their old in-state rival Georgia Tech every year, but I don't understand why we keep playing Georgia Southern. 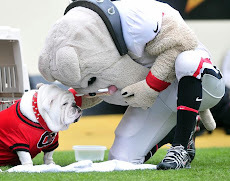 The Bulldogs have nothing to gain from playing Southern, and it's just a wasted date on the schedule. We need to keep beating 'Yellow Tech' every year, but stop playing Southern. Just sayin..